On these pages you will find web features and ag news articles. We felt it was a good idea to same them for visitor's future reference. You will find the articles listed below by title and date published on the website. Articles can be found by scrolling over the "Archive" Page, then clicking the respective article on the drop down Menu. Feral Hogs" The Problem that will not go away"
USDA district supervisor Mike Hoy says the wild pigs have lived in the area since Spanish explorer Hernando DeSoto introduced them to southern Arkansas in 1541. 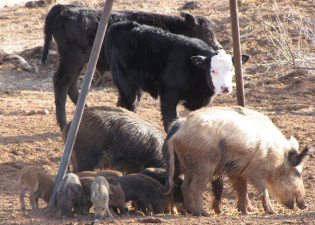 Arkansas farmers let their pigs roam freely into the well into the 20th century and hunted them when they were ready to harvest the animals, said Becky McPeake, professor and extension wildlife specialist for the University of Arkansas System Division of Agriculture. She said the sharp increase in the wild pig population didn't occur until about 30 years ago. Hoy said this was due to hunters releasing the animals for sport, although the Legislature placed limitations on releasing hogs for hunting in 2013. It is legal for unlicensed hunters to take wild hogs year-round on private property with the landowner's permission, according to the Game and Fish Commission. Licensed hunters can take feral pigs in many of the state's Wildlife Management Areas during particular hunting seasons. Be sure to check out in store specials and our full line of clothing and outerwear on pages at letft. they are as smart as you or I. They're not just a smart animal," says Skip Armes, the University of Arkansas Division of Agriculture extension agent in Searcy County. "If they recognize a trap ... you'll never see them again. You've educated them, and they'll educate their piglets." Hoy said 140,000 of the state's estimated 200,000 wild pigs would have to be removed each year in order to prevent the population from growing. Because of growing interest in controlling feral hogs, the University of Arkansas System Division of Agriculture Cooperative Extension Service and the Arkansas Forest Resources Center have teamed up with the USDA Natural Resources Conservation Service to provide materials and workshops for landowners interested in alleviating damage to their property. The next workshop is set for Nov. 6 from 10 a.m. to 2 p.m. at the Livestock and Forestry Research Station just outside Batesville. As a follow article to one published on 10/20, the ADZ the Arkansas Livestock and Poultry Commission will re-license Boone County feral hog-hunting reserve based on an upcoming inspection. Until then, the Rolling R Ranch can continue to operate. The reserve had come under scrutiny after some hogs had escaped and it was determined the fences were shorter than required. All 3 registered hunting reserves have had complaints filed with the Ark. Livestock commission about hogs escaping from the facilities. 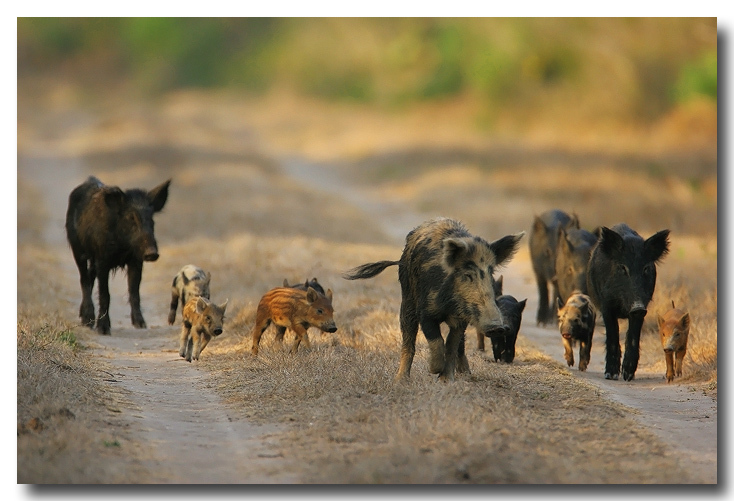 TO AMEND THE DEFINITION OF “FERAL HOG”; TO REGULATE THE CAPTURING, KILLING, AND TRANSPORTING OF FERAL HOGS; AND TO INCREASE THE PENALTIES FOR RELEASING HOGS INTO THE WILD.